Our body also depends on nutritional energy to function. Even with smooth and oxygenated blood, the body cannot be at its best without proper nutrients to fuel the system. Nutrients for example like chi formula and enzymes(a form of catalytic protein) must be present in order for the body system to perform its function, insuffecient nutrients will lead to cell malfunction, poor health conditions, critical illness and eventually death. In today’s modern lifestyle, the diet and food consumed by people are relatively unhealthy, it contain large amount of chemical, imbalance diet, toxic food that might choke up the body system and cause the body to degenerate and ultimately leading to all kinds of chronic disease and illnesses. The need to supplement the body with proper nutrients is critical, helping the body to remove toxin and rejuvenate the cell, to built up a strong immune system and enable the process of self-healing. Enzymes are essential to the regulation of digestion, absorption and waste removal. 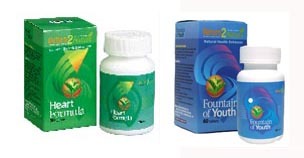 Our Total Enzyme extracts from 86 kinds of Vegetables and fruits, including all kinds of enzymes for our body needs. Through the Catalysis from the Enzyme, it can increase the metabolism , balance our body PH, improve digestions and absorption, to maintain our body function. Enzymes are catalytic proteins: Enzymes are not only the foundation and catalysts of human life, they are fundamental to having and maintaining healthy cells and thereby a healthy mind and body. The latest breakthrough in bio-technology weight loss products! What makes Nature Profile different? It differs from other weight loss products in the market because most products focus on unusual digestion or decreasing the calorie intake using fiber meal or other diet products. Several of the other products also try to absorb the fat in the gastrointestinal tract to reduce the fat absorption function, without really achieving the slimming goal everyone needs which is to eliminate fat from the body. After one month of using Nature Profile, 96 of our consumers told us their combined weight loss was 900 pounds! Each person on average lost 10 pounds, with the highest weight loss at 22 pounds! Nature Profile is able to burn fat to achieve the real goal we are trying to obtain - decreasing the number of fat cells in our bodies. Carbohydrate, Fat, and Protein. When our body generates energy it uses the carbohydrates first, the fat second and the protein last. HCA is extracted from Garcinia Cambogia, and it will suppress your body's use of Carbohydrates, so that when your body needs energy, it will go for the second source which is fat. HCA acts when glucose transitions to fat in your body. It suppresses one ingredient called ATP Citrate Lyase which blocks the composition of fatty acid and depresses the progress of glycolysis. The molecular biology research confirms that fat burning only occurs in the mitochondria. However, it is difficult for the fat macromolecule to penetrate the mitochondria membrane, so it's not guaranteed that the fat can be continually and massively burned up. In order for fat to go into the mitochondria smoothly, it must have one kind of auxiliary nutrient involved called Carnitine. HTE has developed the latest patented technology which moves the fatty acid from the outside of the mitochondria membrane to the inside of the mitochondria membrane. It then carries on beta oxidation which promotes fat burning and provides energy for the body. 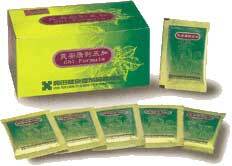 Coenzyme Q10 is a kind of fat-soluble antioxidant that is easy to oxidize. This type of enzyme is inside the mitochondria, and plays a magnificent role in the process of enhancing your body to generate energy (ATP). So, CoQ10 generates the necessary energy your body needs and when your body needs energy it will consume fat to transition to energy. Remember, the Garcinia Cambogia suppresses your carbohydrates. This can assist you in speeding up your metabolism of fat burning even when you are sitting or sleeping. The Soqi Sun Ancon Chi Machine will help eliminate the body toxins and provide the essential benefits of sports and fitness programs without putting stress on parts of the body such as vertebrae joints, heart and lungs and without depleting body energy levels or causing injury. FIR HotHouse is capable of penetrating deep into the human body. It can gently and delight-fully elevate the body's temperature. When it does so, it helps to expand capillaries, which stimulates blood circulation. This increases the body's energy reserve, and accelerates the metabolic exchange between blood and body tissue. The E-Power increases cell energy, balances pH, enhances oxygen reserves, boosts metabolism, circulation, enhances antibodies, increases bone strength, improves nerve function, digestion and elimination, rejuvenates skin and uplifts us mentally and emotionally as well. An instrument that helps reconnect broken or damaged electrical circuits within the body by stimulating it with the correct wave form, current, and frequency. Soqibed combines Eastern health philosophy and modern technology. Integrating motion energy, thermal energy, and spa music into a multi-energy product,capable of delivering this technology to every home. The SoqiBed Spa gives you the ultimate experience in relaxation and maintaining your health at the same time. Soqi Nutrients Nutrients for example like chi formula and enzymes(a form of catalytic protein) must be present in order for the body system to perform its function, insuffecient nutrients will lead to cell malfunction, poor health conditions, critical illness and eventually death.